Avatar will provides the opportunity to display your company ad or logo on the inside and/or the outside of one or all of Avatar’s aircraft. 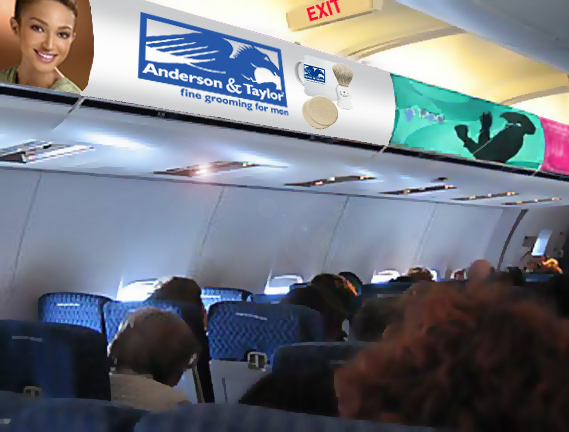 Areas such as: seat upholstery, cabin walls and ceilings, over-head bins, bulkheads, tray table, exterior-wrap as well as other areas are available. These ads range from a simple logo to a full color advertisement. Place Your Logo or Ad with Avatar Now! We would love to hear from you. Please call or write today with your questions, concerns or comments.